It's amazing how strong they can manufacture glass now, so strong that swimming pools can now have sides, bottoms or windows of glass without fear of the water pressure pushing out and shattering the glass. 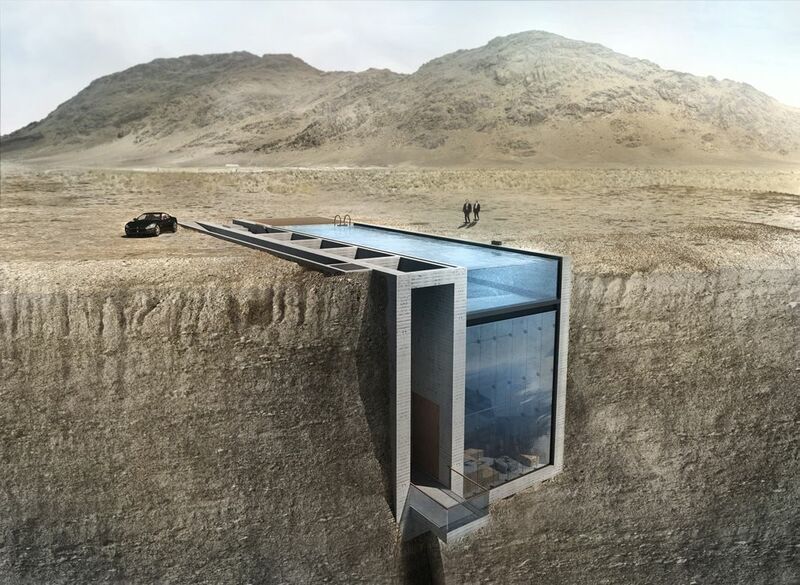 Architects have taken notice and more and more glass walled swimming pools are being designed, allowing views both into and outside of the pools - amazing. 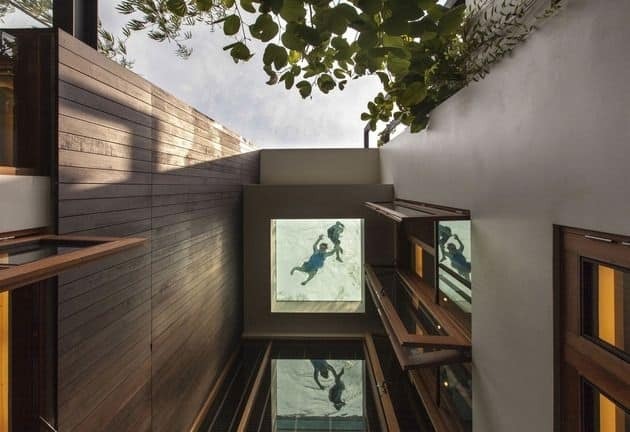 The Equis House by Barclay & Crousse Architecture is one of the most amazing glass walled swimming pools I have come across with its bridge design. This modern Mediterranean villa keeps its swimming pool firmly on the ground but does so with a very crystal clear design. It's no wonder 123DV calls this home Cool Blue Villa. 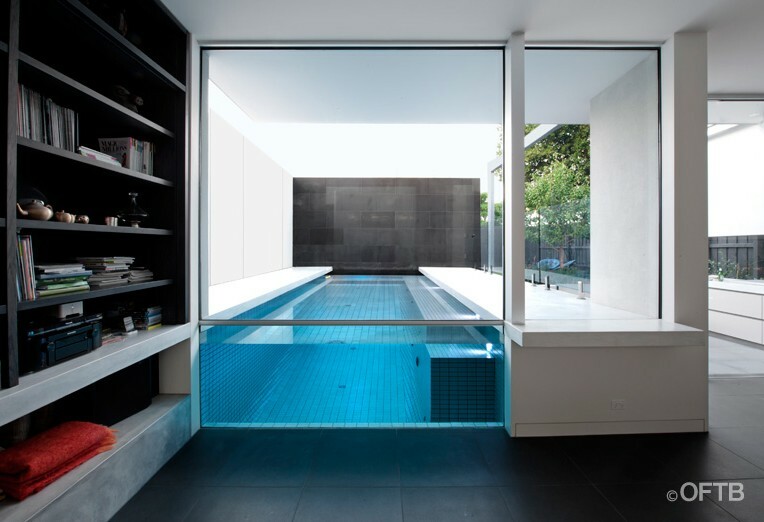 Also keeping its swimming pool firmly on the ground but inside rather than out is this townhouse pool by Revamp. From the basement we go to the roof top of the Jellyfish House by Wiel Arets Architects. With no view lower down it only made sense to put this swimming pool on the roof of Jellyfish House where its occupants could enjoy views of the Mediterranean. 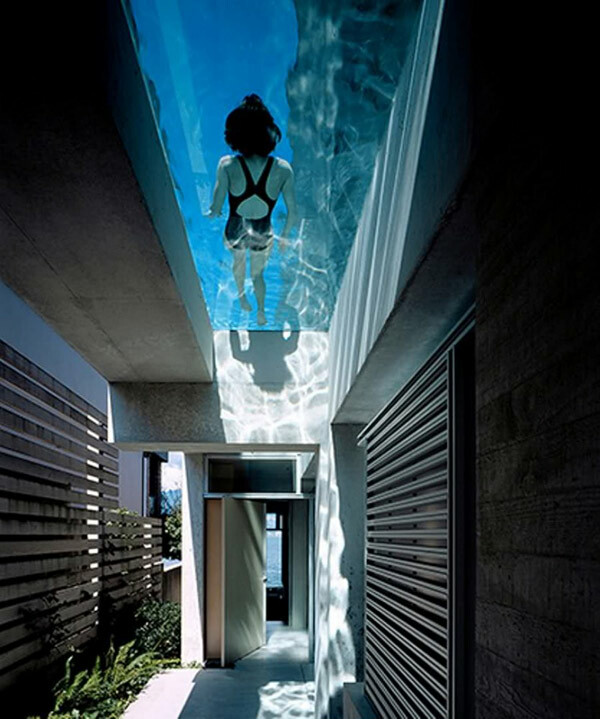 Since the pool extends out over the terrace below, the bottom is fitted with glass panels to let the sun shine through. 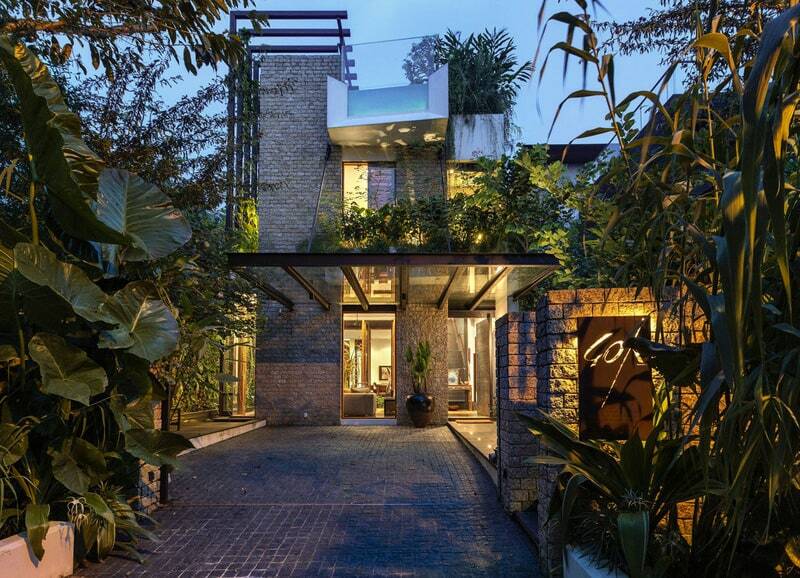 Back up on a roof again, the glass fronted swimming pool by Aamer Architects is completely exposed but barely seen amid the lush surrounding gardens. 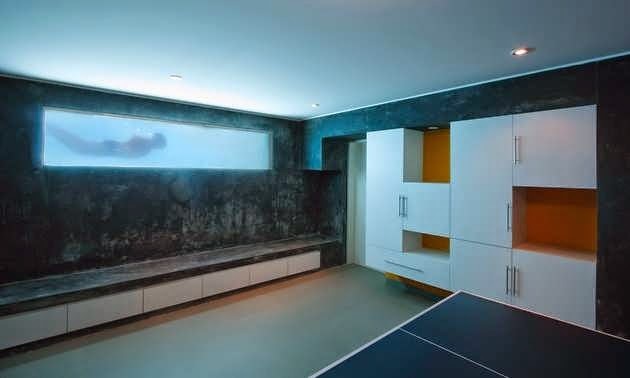 Both an indoor and an outdoor pool, the glass end panel of this pool designed by OFTB plays off of the interior architecture, lining up with the pony wall next to it. 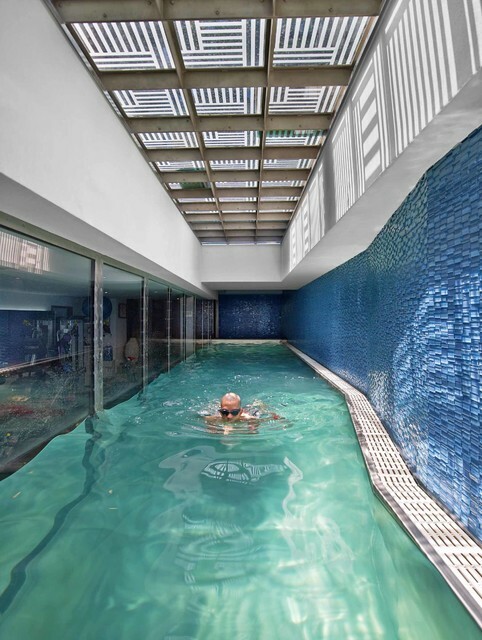 Longhi Architects used a glass wall within the Playa Misterio pool as a window to the indoor gym next to it, which just happens to be below the pool terrace above.